On September 26, 1580, Francis Drake sailed his ship, the Golden Hinde, into Plymouth Harbor on the southwest coast of England. He had long been given up for lost, and rumors quickly circulated about where he had been on his three-year round-the-world voyage, and about the plunder he had brought home to fill Queen Elizabeth's treasury. However, a veil of secrecy was immediately imposed on the expedition: Drake's journals and charts were impounded, and his men were forbidden, on pain of death, to divulge where they had been—especially during the summer of 1579, when they had dropped from sight in the North Pacific. In hindsight, Drake's journey was arguably the greatest sea voyage of all time. In a ship barely one hundred feet long, he sailed more than 40,000 miles, much of the voyage at extraordinary speed; disrupted the Spanish Empire in the New World; encountered often hostile native peoples on four continents; narrowly escaped disaster on numerous occasions; and became the first captain to circumnavigate the globe. Samuel Bawlf masterfully recounts the drama of this extraordinary expedition within the context of England's struggle to withstand the aggression of Catholic Europe and Drake's ambition for English enterprise in the Pacific. He offers fascinating insight into life at sea in the sixteenth century—from the dangers of mutiny and the lack of knowledge about wind and current to the arduous physical challenges faced every day by Drake's men. But it is Bawlf's assertion of Drake's whereabouts in the summer of 1579 that gives his book even greater originality. From a seminal study of maps of the period, Bawlf shows with certainty that Drake sailed all the way to Alaska—much farther than anyone has heretofore imagined—thereby rewriting the history of exploration. Drake was, Bawlf claims, in search of the western entrance to the fabled Northwest Passage, at which he planned to found England's first colony, which could wrest control of the Pacific, and the wealth of the East Indies, from Spain. Drake's voyage was, in fact, far ahead of its time: another 200 years would pass before the eighteenth-century explorers of record reached the northwest coast of North America. A cast of luminous characters runs through The Secret Voyage of Sir Francis Drake: Philip II of Spain, Europe's most powerful monarch; Elizabeth's spymaster and powerful advisor, Francis Walsingham; the encyclopedic cosmographer John Dee; and Abraham Ortelius, the great Dutch mapmaker to whom Drake leaked his Pacific discoveries. 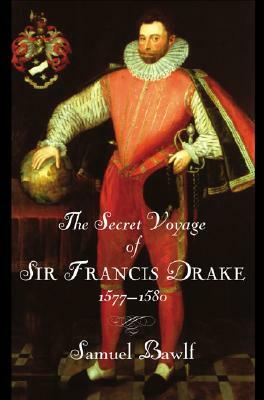 In the end, though, it is Francis Drake himself who comes most fully to life through the lens of his epic voyage. Remembered most as a privateer and for his victory over the Spanish Armada, the Drake that emerges from these pages is so much more: a dynamic leader of men, a brilliant navigator and sailor, and surely one of history's most daring explorers. Samuel Bawlf is a geographer and former minister in the government of British Columbia, responsible for the province's historic and archaeological sites and its coastal ferry service. He has sailed the Pacific coast from southern Alaska to San Francisco, and enjoys a lifelong passion for maritime history. He lives on Salt Spring Island, British Columbia.